As you know, life is very much uncertain; one day you’re living your best life, then, you’re no longer awake on the next day. That’s why it is only right to celebrate your birthday since it is a testament that you were able to survive a whole year and you’re onto the next one. Regardless of current financial status or situation, it is an important milestone that should be celebrated with the people you love. Celebrating your birthday doesn’t necessarily mean you hold extravagant soirees, having a potluck or a small get-together with your family and friends is enough to commemorate such an important event in your life. With that in mind, having a birthday party means you need to prepare dishes that cater to a diverse diet and allergies of your guests. To help your guests know the ingredients for each dish, you should have a clear and comprehensive birthday menu that lists down all the dishes you will serve during your party. Restaurants thrive off of loyal customers, but in order to attract customers that will stay loyal to them, they need to cater to all their needs and expectations. As a restaurant owner, you should really look into offering special birthday packages that will entice customers to book for a party. 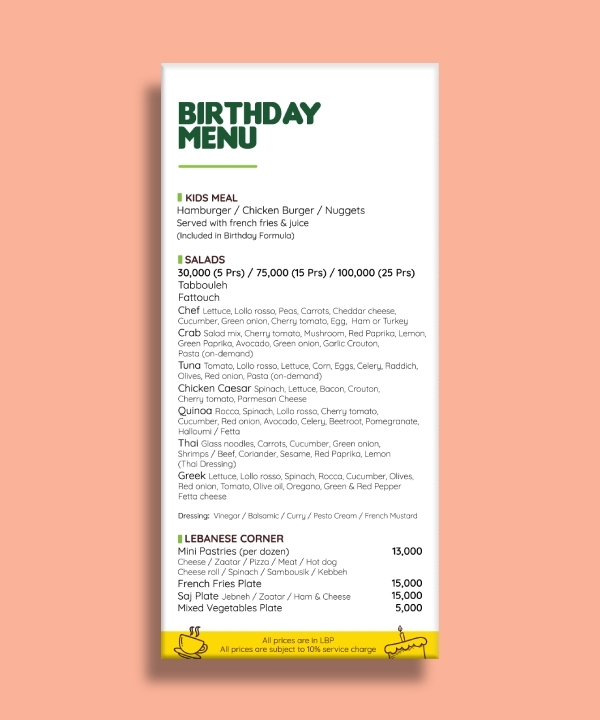 Your birthday menu should include your best dishes in a reasonable and profitable price. 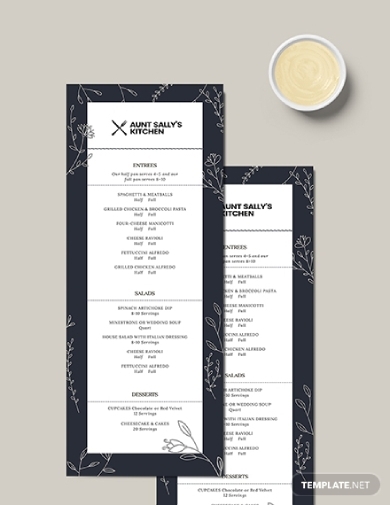 In case you were looking for a template that you can use as your restaurant menu, you can download this template and easily customize according to your preferences. Aside from having an in-house birthday package to offer to customers, it is quite an advantage for you to tailor your menu to special requests from your customers. With that said, you should have a menu that will list down all the dishes specially requested by the customer. Having a special birthday menu will allow you to cater to the needs and wants of your customer properly and more appropriately. 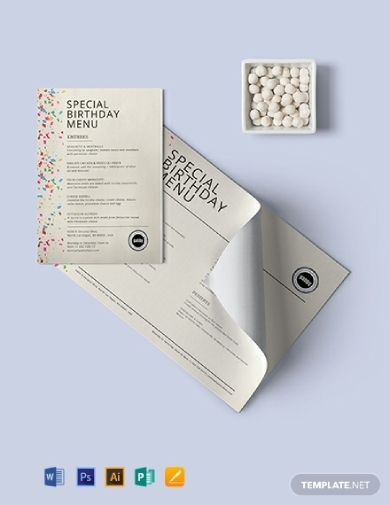 You can download this special birthday menu template to use for your business or even for personal use, easily edit this to incorporate your brand or personal preferences. Having an intimate birthday dinner with your loved one doesn’t mean you can’t make it fancy. You can totally have an elegant yet non-expensive birthday at home, all that you need to do is use good-quality materials to decorate your home and cook or order special dishes. And to tie everything back to the fancy dinner feels you were going for, you should have a menu that will present the scrumptious full meal course you will be serving to your guests. 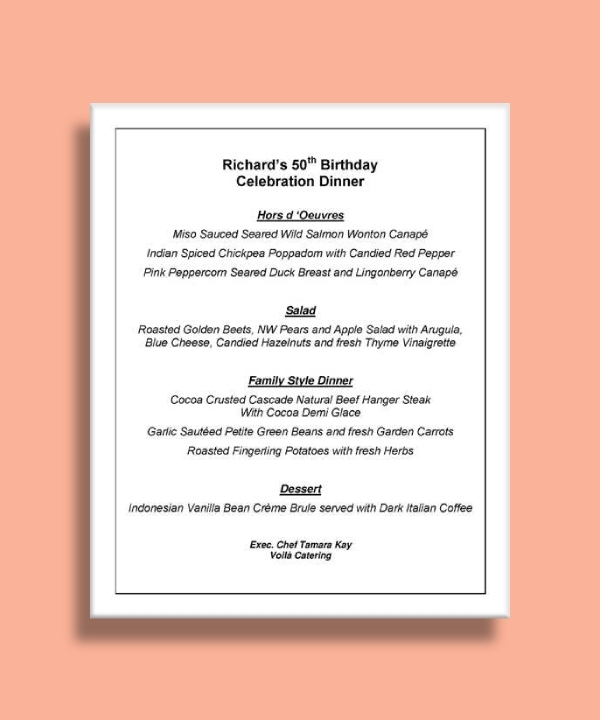 You can download this birthday dinner menu template to get a head start when creating a comprehensive birthday menu. If you don’t want fancy, that’s totally cool too! You can have a simple birthday menu that presents your dishes comprehensively. It will help your guests know what specific ingredients were used for each dish and to inform them of the type of dish it is. 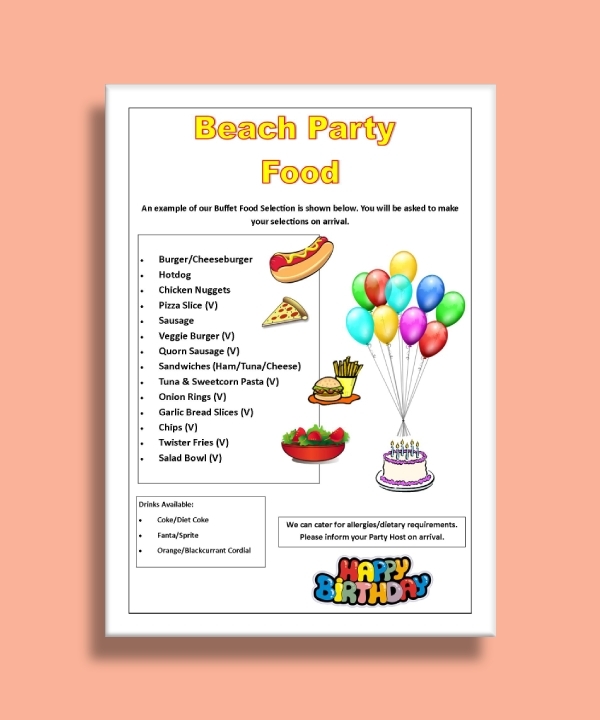 To help you easily do that, you can download this simple birthday party menu template and edit it accordingly in Adobe Illustrator and Photoshop, MS Word and Publisher, and Apple Pages. Downloading this template will give you high-quality original designs, creative illustrations, flexible layout, and so much more. As mentioned, it is best to take leverage out of the birthday party needs of potential customers. Thus, it is always efficient to have a birthday package menu that showcases the best dishes that constitutes a full course meal at a reasonable price. 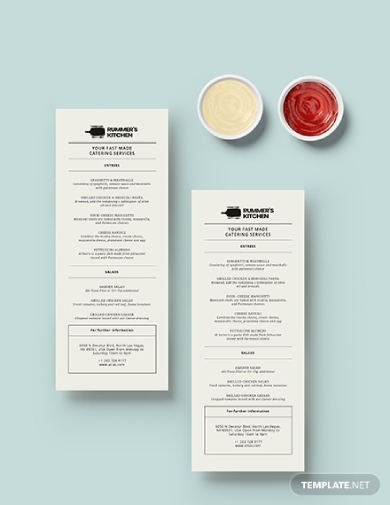 Looking at this menu example, you can see how simple and direct the menu is. It just lists all the food selection that will be included in the beach party package. It has a basic layout and simple designs that will greatly emphasize the listed dishes. Reaching the golden age of 50 is an achievement in itself; thus, it is worthy to be celebrated extravagantly. However, that doesn’t mean you can use a minimalist theme for your special birthday dinner party. In relation to this, it is best to have a minimalist birthday menu that will list all the food you will be serving during your reception. Your food menu should be easily readable especially since your expected guests are of the older age bracket. You can use this birthday dinner party menu example as a guide when you start to create a menu for your own birthday party. Your food and beverage business establishment can be people’s favorite birthday tradition if you have an all-inclusive birthday menu. Aside from that, you should also include the prices like in a price menu for each dish to establish transparency. 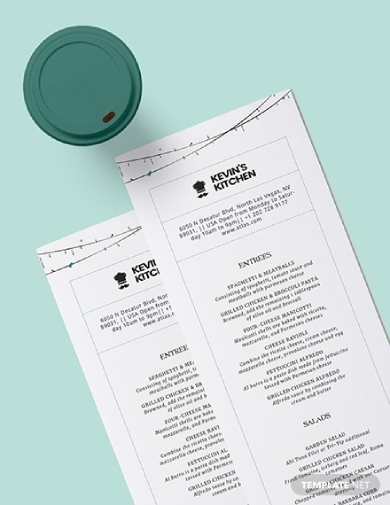 However, you need to remember that your main goal is to sell the food package; therefore, it is best to use a simple design and layout that relates to your overall brand identity. It is also best to include the ingredients for each dish so that customers can choose dishes that will not trigger allergic reactions.